The approaching October is going to be the busiest ever month for Suzi F.Nassif. She is all set to attend 2nd edition of Art Fair Dubai and the 9th International VERA World Fine Art Festival-Cordoaria Nacional in Lisbon, Portugal. 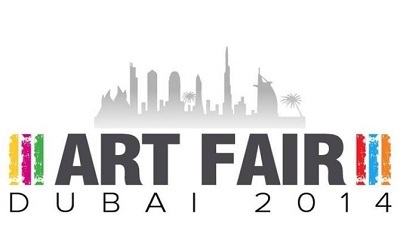 After last year’s successful edition, Art Fair is again to hit the art industry in Dubai. Suzi F. Nassif is heading for the event with her amazing collection of wonderful art pieces. This ticket-free event is planned on 15th to 17th of October; means just 18 days away and The Address Dubai Mall will bang with the Art Fair. Scheduled for 3 days, this event hosts eclectic mix of regional to international galleries. In addition, a number of independent digital surrealism artists to portrait makers will also join in the exhibition. When we talk about acrylic painting Dubai, Suzi is the name that instantly strikes our minds because of her use of unique blend of styles and colors to create inimitable art pieces. Art Fair Dubai is an outstanding platform developed to encourage national galleries and regional artists to promote their work so as to achieve the celebrity status. Suzi F. Nassif is among the exhibiting portrait artists in Dubai to display her bold and heterogeneous abilities in painting format. You can buy abstract expressionism art by Suzi or any of her paintings you will like the most at the event. Suzi F. Nassif usually does not decline the opportunity to attend art events in Dubai as well as anywhere in the world. In coming month she will appear at VERA Festival to get in touch with her global fan base through her modern artwork. Suzi F.Nassif one of the portrait artists in Dubai is participating in the Vera Festival inaugurating on 9th of October, 2015. This 9 days fest of art and music will conclude on 17th of October. It’s the ninth edition of VERA Festival and second in line to be held in Portugal. Earlier seven were held in Russia and this year it returns to Lisbon. From world famous creative artists to eminent art galleries, all love to attend International Vera Festival. This year, it will cover eight categories including Painting, Sculpture, Graphics, Architecture, Photography, Applied Arts, Installation, and Museology. It is testified that Suzi F.Nassif will also opt in to exhibit her stunning collection of portrait to abstract and surreal art oeuvre in this world-famous event. VERA World Fine Art Festival is globally recognized art exhibitions in Dubai and an award-ceremony gala aimed to celebrate the contemporary artwork from around the world.